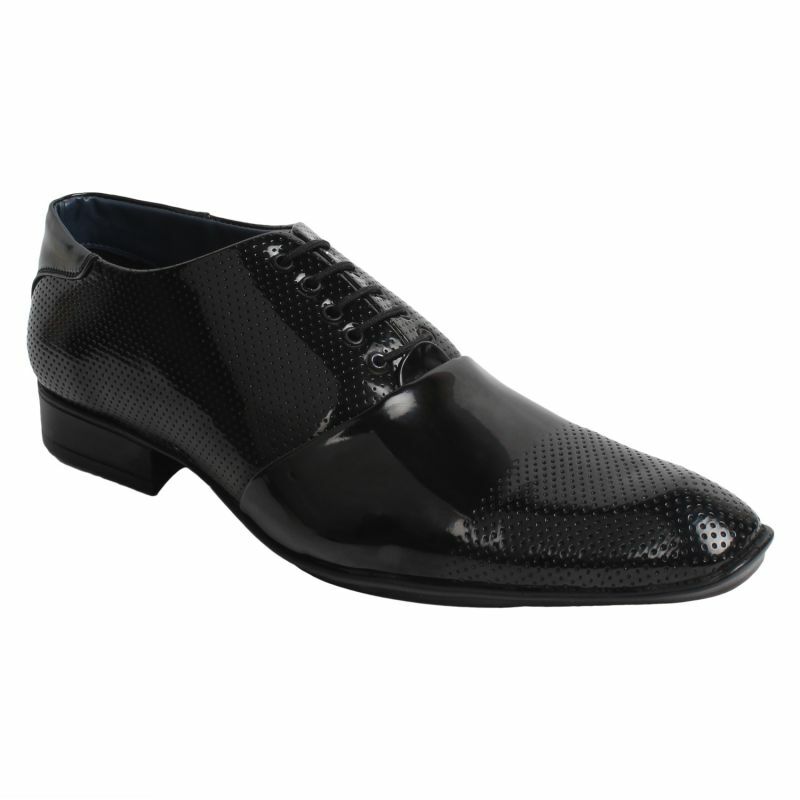 The Black patent derby shoes by Guava make a prominent addition to your gentlemans wardrobe. A Classic derby silhouette with dual textured finish make for the ultimate luxury lace up. Be it a wedding or a formal cocktail dinner, stay event ready with these pair of stunners. This shoe required no Shoe Polish or Shoe Shiner rather just a wipe of soft cloth is enough for its lustre shine. Cushioned insole is used for day long comfort. Care: Just wipe with clean, dry cloth to remove dirt and get shine.